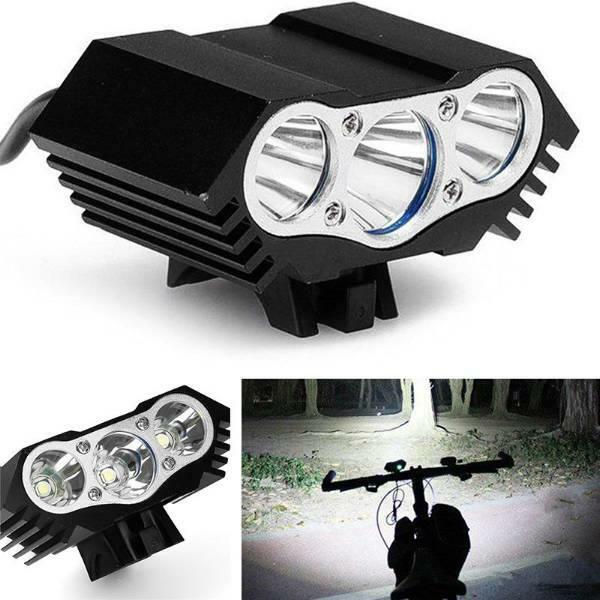 This is a super bright LED bike headlight which can come up to 8500lm. It is waterproof, but don't put it into water directly. With 4 mode, high, mid, low, fast strobe. Can be used as Headlamp or Bicycle Light. FRONT SYKKELLYKT MED 3 CREE T6 LED PÆRER. 4 LYS-MODUS - Selges av Habanero fra Oslo.